One great thing about watching and/or betting NHL hockey is that the teams can be counted on to put up a decent effort on most nights. Even late in the season when a team might have been eliminated from postseason consideration you seldom see NHL players ‘phone it in’. To the contrary, it’s not uncommon to see teams that were struggling early in the year start to string together some victories and get some positive momentum in the second half of the schedule. Two such teams will face off in the only NHL hockey game on Friday’s card. The Rangers are coming off a 4-3 shootout win over the Boston Bruins on Wednesday night to improve to 6-3-1 in their last ten games. Carolina has been playing even better and enters this matchup on a 12-4-1 run in their previous 17 games. Both teams will send their starting goalie for this game with Henrik Lundqvist between the pipes for the Rangers and Petr Mrazek getting the call for the Hurricanes. Both netminders suffered tough luck losses in their previous starts. 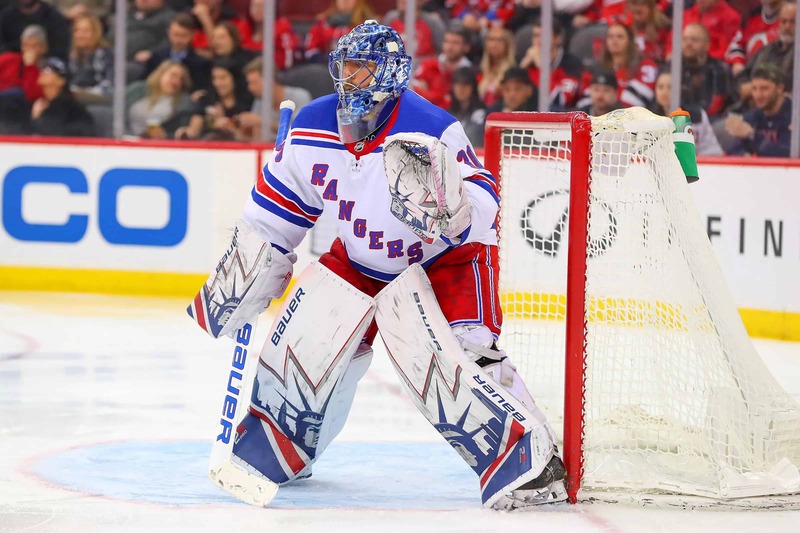 Lundqvist made 26 saves on Monday in a 4-3 Rangers loss to the Los Angeles Kings in overtime. Mzarek’s last action was on Sunday when he made 28 saves in a 4-3 loss to the Calgary Flames. In other words, these are two teams that we’ll look to play on down the stretch. Obviously, we can’t bet on both here so we’ll let the ‘price be our guide’. More specifically, we’ll return to a concept that we’ve used recently playing on the Rangers–their solid play at home this season. New York is 9-14-2 on the road but a very solid 14-8-6 at Madison Square Garden. Carolina admittedly is a decent road team (13-12-2 on the road) but that’s still not enough to justify installing them as a small favorite in this matchup. The Rangers will enter this game rested having last played on Wednesday night while Carolina is in a second of back to back games situation. The Thursday win over Buffalo was a wild one–Carolina shot out to a 2-0 lead only to enter the third period tied 2-2. They scrapped to a 5-3 lead with just over 5 minutes remaining only to see the Sabres tie it up and force overtime where Teuvo Teravainen ended things at the 3:25 mark with an unassisted goal. It’s the type of up and down game that could be more draining than the garden variety NHL contest. As long as the Rangers continue to play good hockey at home we’ll keep backing them as long as the price is right. It definitely looks to be here and we like the scheduling situation with a rested Rangers team as a slight underdog.